All of you who follow my blog know how much I love to read and how much I love to write about what I’m reading. I want to try something new and do an online book report of my favorite book each month. 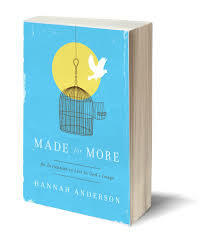 For September, I’ve chosen Made for More by Hannah Anderson (2014: Moody Publishers). A natural question that follows is what am I reflecting if not God? In looking at my life, too often I see my gaze shift to materialism, success, and productivity. When I image these “gods,” relationships become transactional, time shrinks to my to-do list, and failure causes me to erupt in frustration and anger. A close corollary and outflow to identity as those reflecting Jesus more than the god-of-the-hour is that it changes how and what we love. We pursue what we love and “what you love will determine who you are and what you do.” How are we changed into our true selves? By loving truly because we know we are truly loved. Amen, sister! I would go on, but then you would miss out on journeying along with Anderson through this exquisite invitation to your truest identity. 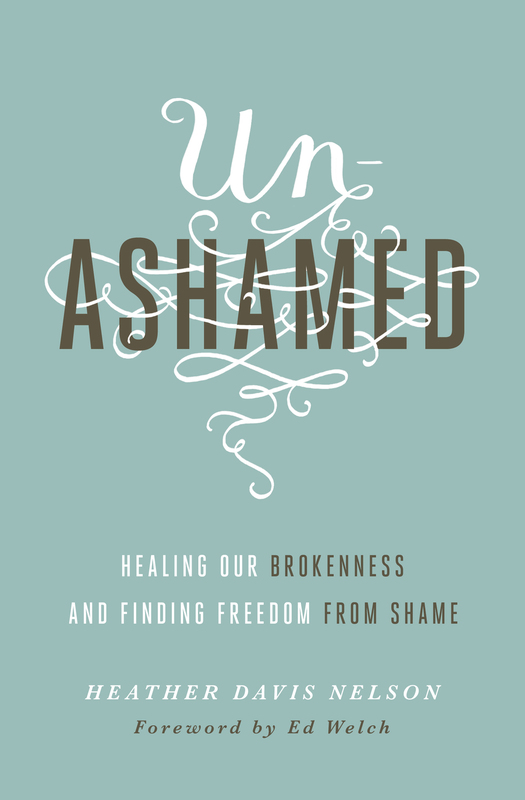 Made for More is by far the best book I’ve read about identity – both identity lost through our false image-bearing and identity found in the hope and grace of Jesus as he restores and transforms us to who we were created to be.